Were Racial 'Code Words' Used to Insult Susan Rice? Were Racial ‘Code Words’ Used to Insult Susan Rice? Democratic Representative from South Carolina James Clyburn recently said during a CNN interview with Soledad O’Brien that he thought that Republicans have been using racial “code wordsâ€ to attack U.S. Ambassador to the United Nations Susan Rice. Many Democrats, like Clyburn, think Rice is being used as a scapegoat for the administration’s errors and Clyburn said words like incompetent and untrustworthy are often used to characterize African-Americans. 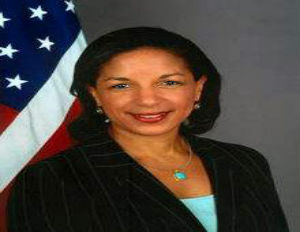 It’s widely believed that President Obama will be nominating Ms. Rice for the position of Secretary of State in his administration, however, a group of prominent Republicans led by Sen. John McCain and Sen. Lindsey Graham have been very vocal about their opposition to her assuming the role of Secretary of State.